DreamWorks’ Animation How to Train Your Dragon: The Hidden World from series director Dean DeBlois will now open on Feb. 22 instead of March 1 next year. 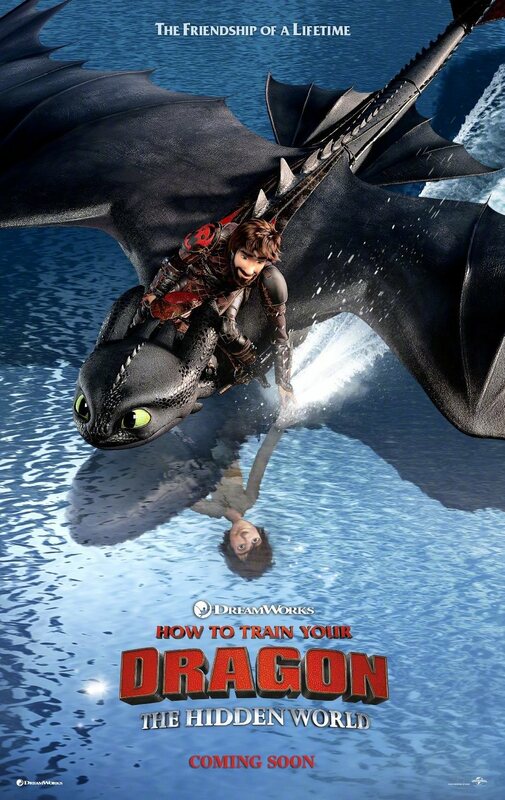 The third film in the “How to Train Your Dragon” franchise has been christened. 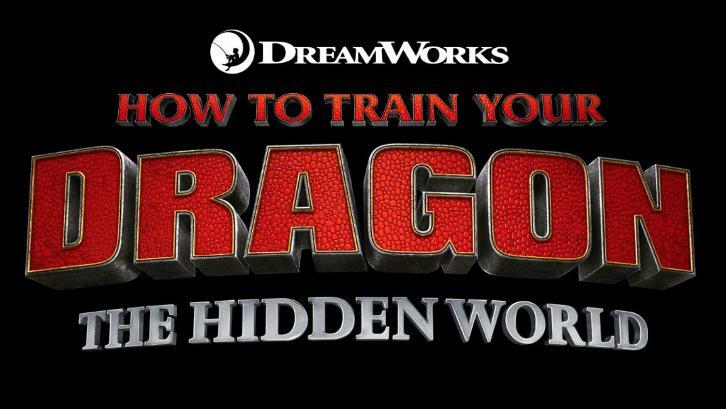 In advance of a special sneak peek of the film at this year’s Annecy International Animation Film Festival, DreamWorks Animation has announced that part three will be entitled “How To Train Your Dragon: The Hidden World.” The film is billed as the series’ culmination and will hit theaters in 2019. Oscar-winning Amadeus actor F. Murray Abraham will play the villain Grimmel in DreamWorks Animation’s How to Train Your Dragon 3, which is set to conclude the story arc established by the first two movies about young viking Hiccup and Night Fury dragon Toothless. Universal is releasing the third title on March 1, 2019 and F. Murray Abraham joins Jay Baruchel, America Ferrera, Kit Harrington, Cate Blanchett in the Dean DeBlois directed and written animated feature. Bonnie Arnold and Brad Lewis are producing. We hear Abraham’s voice test cinched the casting: Animators put his voice from his other titles against his animated persona, and it was a perfect fit. Abraham won’t be donning a Scottish accent, rather a deep-baritone voice in the classic villain sense. “We are thrilled that F. Murray Abraham has joined our How To Train Your Dragon 3 cast as the villainous Grimmel. This character brings a captivating new story line to the culmination of our trilogy. There is a gentlemanly calm to this sinister role, one that dovetails beautifully with this iconic actor’s immense range and talents,” said Chris deFaria, Head of DreamWorks Animation. How to Train Your Dragon 3 is just one of many DreamWorks Animation films being pushed back as it cuts down its feature film production from three films a year, to two. Restructuring at DreamWorks Animation will focus the studio’s production on six films in the next three years, which will include one film and one sequel per year. Kung Fu Panda 3 and Trolls will be released in 2016, Boss Baby and The Croods 2 in 2017, and Larrikins and How to Train Your Dragon 3 (originally scheduled for release in summer 2017) in 2018. DreamWorks Animation announced today that How to Train Your Dragon 2 crossed the $600 million mark on Labor Day, while the third installment has been pushed back a year. A record-breaking opening in China coupled with success in territories around the world have catapulted “Dragon 2″ to become the highest-grossing animated film of the year and one of the top ten grossing films of the year in any genre. Through Monday, How to Train Your Dragon 2 has grossed $174 million domestically and $426 million in international markets. The company also announced that How to Train Your Dragon 3, which was facing Finding Dory and The Nice Guys on June 17, 2016, has been pushed back to a June 9, 2017 release. It has that date to itself for now, although right before it comes the second LEGO Movie on May 26 and a week after another Pixar movie is scheduled. Katzenberg: "Yeah, there’s probably a fourth there. Kung Fu Panda actually has 6 chapters to it, and we’ve mapped that out over the years. How To Train Your Dragon is at least three: maybe more, but we know there are a least three chapters to that story. There are actually 8 books." But they’re very different from the film. Katzenberg: "Yes. But there are elements of them that actually… as you know, there are many islands in the world of Berk, and different things there, so we’ll see. But right now, today, we know that there are three for sure that we want to tell and there may be more. We haven’t thought, you know, how do we continue beyond that."